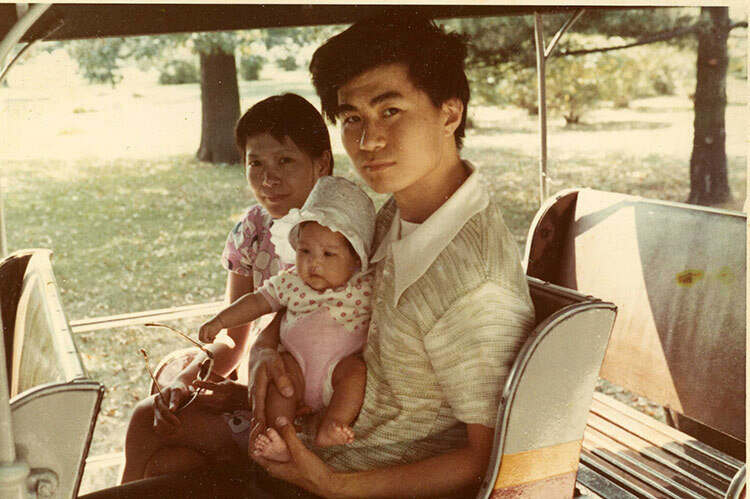 That’s me… as a baby… back in the 1970s… with my parents… who were both legal immigrants to the U.S.
After the resurrection of the term “anchor baby” in this presidential primary season, I thought I’d post this photo of our family as part of the #MyAsianAmericanStory hashtag that’s trending on Twitter. My take over at BlogHer about why all feminists should care about phrase “anchor baby” and how it portrays immigrant women. 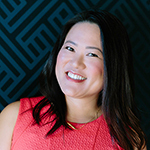 Read what other people are saying about Jeb Bush’s anchor baby gaffe at NBC Asian America. Seriously, how stupid again this stoking up of immigration during election time. I’ve never heard of anchor baby but then I’m CAnadian . I’m sure it’s happened but for a lot of women getting pregnant is more about biology, being within desired age range of being pregnant, readiness in life, etc. Immigration issue is in our current Canadian federal political campaign…but more about whether or not to accept more Syrian refugees.. I found it strange that you have to say in the above blog post “legal: immigrants. For the audience who cares to read your blog, I don’t think it’s necessary qualify at all. Please be not afraid, just say immigrant and there’s no apologizing at all. There’s no point …for all the hard work of raising 6 Canadian born children and a father, cook only breadwinner in family. I sure hope Canada never becomes like the U.S. where people like ourselves have to self-qualify, “legal” immigrants. It’s like saying legal parents…kind of odd, actually. But I know already, it’s the opposite, a proud American shaped by caring, hard working parents. I say that without knowing your parents, because how you became as a person yourself and as a mother also.